Earlier today we reported that we could not get out of our driveway due to the very heavy snowfall yesterday (see Snowed in!) 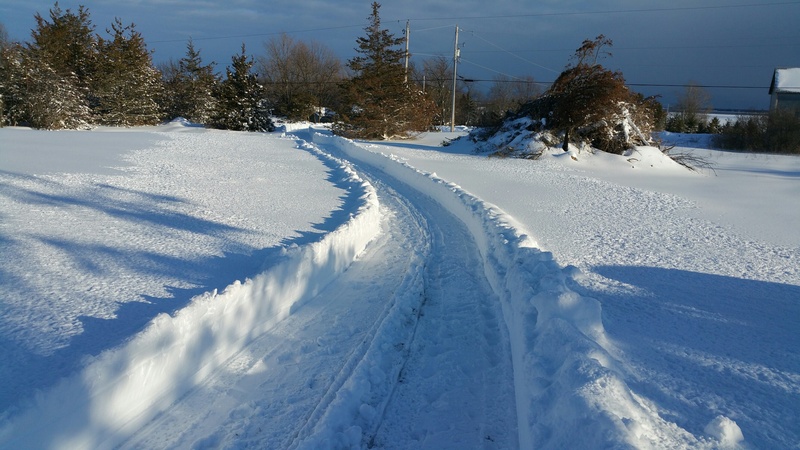 This afternoon, however, a kind neighbour showed up with his snow blower and, within an hour or so, we had the driveway opened. Thank you Mustafa! 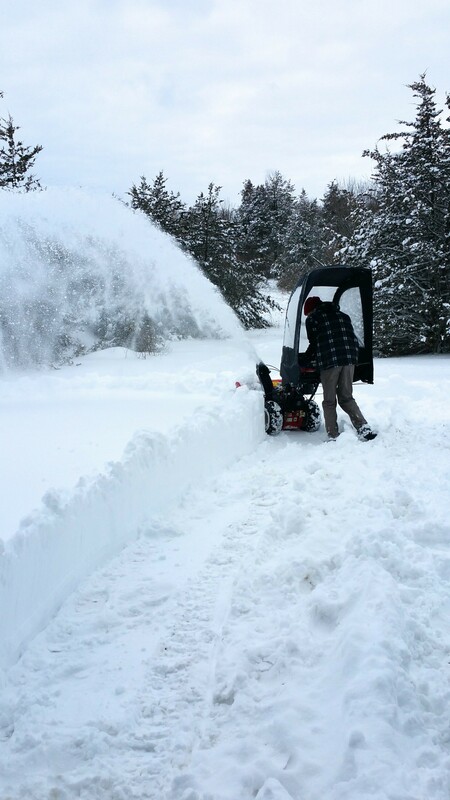 I took a turn with the snow blower. It was gratifying to see it bite through the thick snow banks. The cleared portion of the driveway is not wide but is plenty for our car. It reminds us of the narrow country lanes in rural England, just wide enough for a small car. Ah Bob … now you really are an Easterner. Looks like Bracebridge.Too difficult Site too difficult for stroke oldsters to work but enjoying keeping in touch.